New for 2019! No matter your experience level, this is a must-have for every practice. 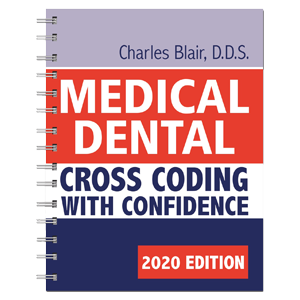 This powerful resource explains the different types of medical codes, how to complete a medical claim form, and how to properly submit claims to medical payers. Especially useful for dentists who perform oral surgery, fabricate appliances for sleep apnea or deal with patients with TMD. Remove the apprehension of filing medical claims with the straightforward guidance in this essential guide.